The Land Rover Discovery comes in four different trims for 2019 and with a choice of two different powertrains. A 3.0L supercharged V6 is the base engine, providing 340 horsepower and giving the Land Rover Discovery a respectable 0-60 time of a claimed 6.9 seconds. The optional engine is a 3.0L Turbodiesel making 254 horsepower and 443 lb-ft of torque. While acceleration is slightly slower for the diesel, the extra torque provides a more relaxed power band, while fuel economy is also improved. Besides, with a 0-60 time of 7.7 seconds, the diesel version can more than keep up. On all Discoveries, power is sent to all four wheels via an 8-speed automatic transmission. HSE models get 20-inch wheels, LED headlights, fog lights, a panoramic sunroof and keyless entry. Inside, HSE trimmed Discoveries come with an upgraded 380-watt Meridian sound system, a bigger 12.3-inch screen, a navigation system and 12-way adjustable seats. The Land Rover Discovery returns for 2019 with a host of improvements. A new multifunction steering wheel has improved, more responsive touch controls while Land Rover's suite of electronic aids has also been expanded considerably. SE Models will now get LED headlights, a powered inner tailgate, lane-keep assist and reverse traffic detection systems as standard. In the meantime, the offroad capability of all Discovery models has been enhanced with a new Wade Sensing depth system that will help ensure that the Discovery is making full use of its wading capabilities when fording streams or rivers. 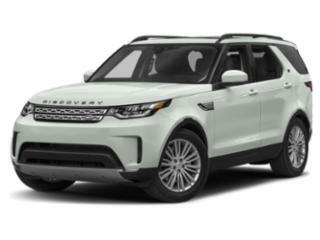 The Land Rover Discovery competes with mid-sized luxury SUV's like the BMW X5 and the Audi Q7. It starts at right around $50,000 and offers space for up to seven adults with its three rows of seating. With dimensions that are slightly longer than the outgoing LR4, the Discovery offers plenty of space, while its trademark roofline provides extra headroom for third-row occupants. Unlike other SUV's in this class, the Discovery has real off-road chops, with enough ground clearance to tackle most obstacles and standard 4-wheel drive. It can even wade through up to 35-inches of water.